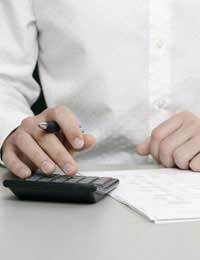 As a new business, cost saving is likely to be amongst your primary concerns. As you are sure to have discovered, raising finance for a new business is very difficult, and this potentially limited money must go a very long way. Almost exclusively, the companies that succeed are those that curb their unnecessary spending and manage their costs. One of the most effective ways in which this can be achieved is through the lowering of overheads. 'Overheads' refers to any recurring cost associated with the running of a business. Generally, overheads do not have any direct role to play in the generation of profits, although they are necessary for the continued functioning of the organisation. This might include such things as telephone rental, insurance, equipment hire and so on. Clearly, some overheads are necessary; it is virtually impossible to imagine a photography business operating today without internet access, for example. However, it is common for businesses to find that they are spending more in overheads than is strictly necessary. In these cases, a concerted cost saving regime can decrease outgoings and, as such, increase profits even if sales and turnover remain static. In the first instance, you should ensure that you review your overheads on a regular basis. It is easy to lose track of what you are actually spending, particularly if many of your overheads are paid by direct debit, or if you do not keep your own books. It is important to have a good knowledge of where the money is going in your business, but also of the basic needs of the organisation. It is impractical to cut overheads to the extent that your business can no longer function properly; if your cashflow problems are severe enough for you to take this action, you need to look at cashflow solutions first, and overheads later. When a business looks to cut overheads, activities such as marketing and advertising are almost always the first budgets to be cut. There are several reasons for this; in the first instance, they are not imperative for the basic functioning of the organisation. Secondly, this spending can be cut immediately. It should be remembered, however, that a cut in these budgets may well also have an effect on your sales figures. As such, while this may help to solve short-term financial problems, you may also find that it reduces your turnover in the medium term. While the savings might not be as significant, you should also look at changing utility suppliers on your premises; many providers will offer discounts for new custom. Similarly, depending on the nature of your business, you may be able to negotiate new terms with your suppliers and vendors. You should also remember that, aside from cutting overheads, there are a number of other ways in which you can cut your spending. If you require new equipment, you may wish to look at the possibility of leasing it, rather than buying it at the outset. A lease agreement will frequently give you the option to buy the equipment at a later date, and you can take up this option if your financial situation is healthier at that point. Further information on leasing is available in an article elsewhere on this site.